I think in the new Netflix series Narcos, the Narcos' machine pistols look familiar, I think they're a LOT anachronistic given that the show's set in the late '80s. What was that even? You'd do well to upload a screenshot of the guns to which you are referring, as people may not have noticed the guns in question, or the series being mentioned at all. 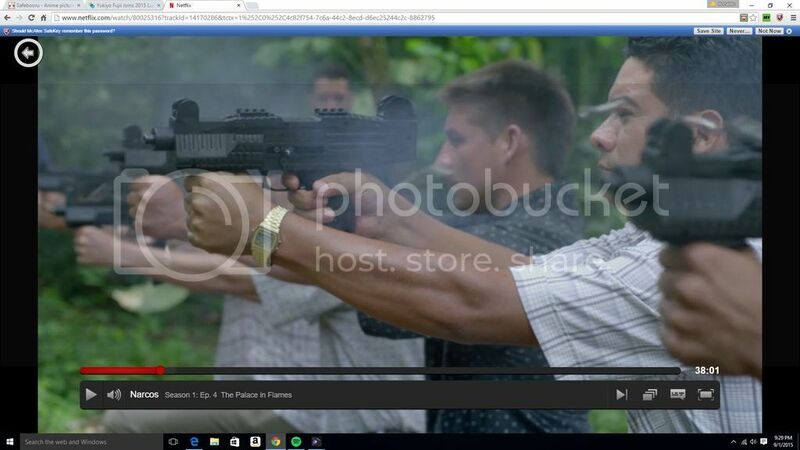 I'd be happy to help you identify them if you show me the guns or give me an episode/time mark or something. Those are EKOL ASI Uzis. It's a blank firing "copy".